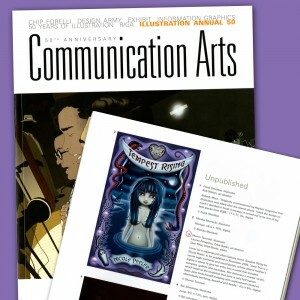 Award Winner – and not even published yet! 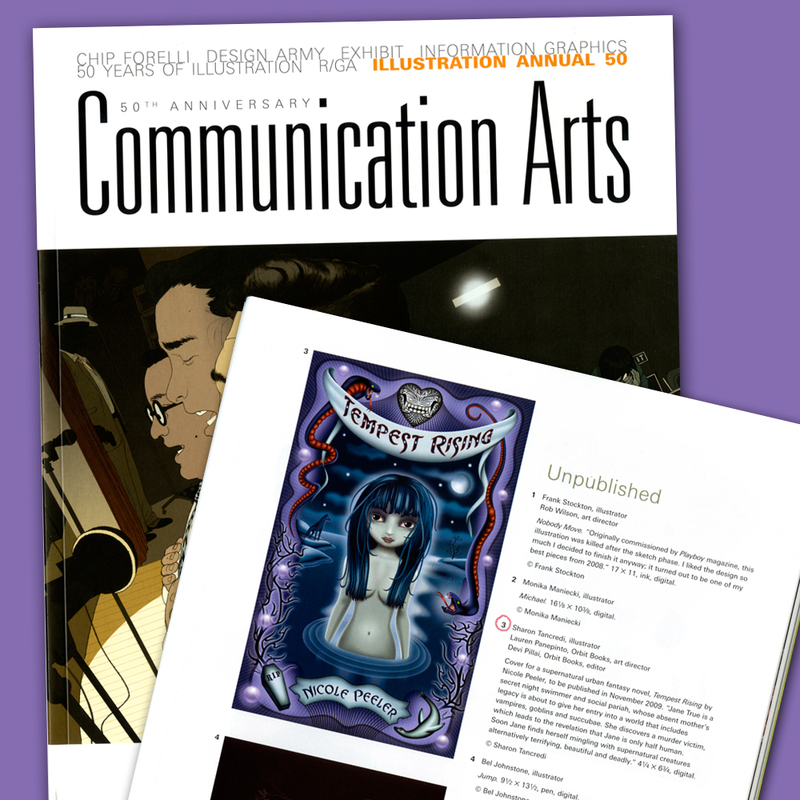 Congrats to Sharon Tancredi, the fabulous illustrator of TEMPEST RISING by Nicole Peeler – She is being honored for her work on the cover by inclusion into the prestigious Communication Arts Illustration Annual. It’s in “unpublished” because the book doesn’t come out until November, but the buzz is already building for our new half-selkie heroine, Jane True. 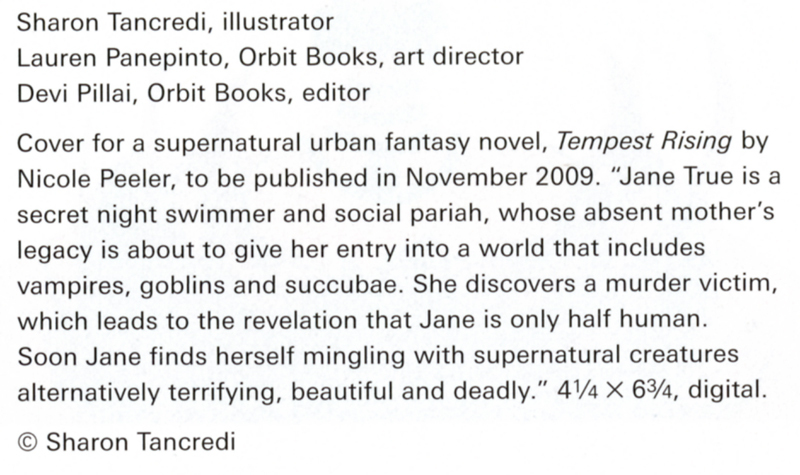 Bet you can’t wait to see the cover of Nicole Peeler’s next Jane True book, Tracking the Tempest…We’re just putting on the finishing touches, and I’ll be posting it here soon. Let’s just say Sharon keeps the bar high!